Take your GenEds this summer for only $37 a credit! See the class schedule. Learn/improve your Spanish this summer in beautiful Costa Rica! Registration begins May 1. Fun classes run in June and July. Jessica is transforming her life by studying to be a Nurse. I didn’t have to leave home to get a quality education. "NPC is providing me with an environment where I am doing something worthwhile." NPC has provided me with the great opportunity of having a career to go into right out of high school! Attending college will allow me to learn new things and make me better. I am working on an Associate of Arts degree so I can transfer to a university and complete a Bachelor's degree. I heard lots of good things about much of the NPC faculty from previous students. I know that they sincerely want me to succeed. I plan to transfer to a university to study Psychology after NPC. I love the NPC/NAVIT program. It's giving me a great head start while I'm still in high school. Northland Pioneer College is proud to recognize nursing student Amanda Hatch as a winner of the Phi Theta Kappa Guistwhite Scholarship. Ashley DeMaria is the first recipient of the new Jeanne Swarthout Presidential Excellence Scholarship at Northland Pioneer College. Northland Pioneer College is celebrating the awarding of the all-new Jon Graff, Ph.D., University Bound Scholarship to Cynthia Owen. Northland Pioneer College is celebrating the awarding of the all-new Jon Graff, Ph.D., College and Career Prep Scholarship to Vaughn Willeto. degrees, certificates and areas of study to choose from for university transfer or direct-to-work. 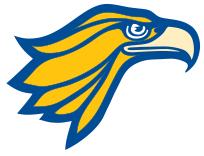 Campus, center and training locations in northeastern Arizona to help you transform your life! Northland Pioneer College partnered with The House Show Low restaurant to help raise funds for student scholarships. 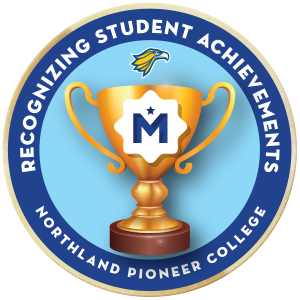 In fact, Northland Pioneer College’s low tuition of $2,250 per year was the fifth lowest in the entire country. Learn more about the featured programs below or browse all of our programs.